When the official trailer <Ben-Hur> released globally, it didn't really show you everything that you need to see in the next two hours and yet reserve some other scenes that still worth to anticipate. Yet, this re-make classic epic story of Judah Ben-Hur where a prince falsely accused of treason by his adopted brother Messala , an officer in the Roman army didn't runs as slick as it should been made and led to a sleazy ending despite the success of <Abraham Lincoln: Vampire Hunter> by Director Timur Bekmambetov. 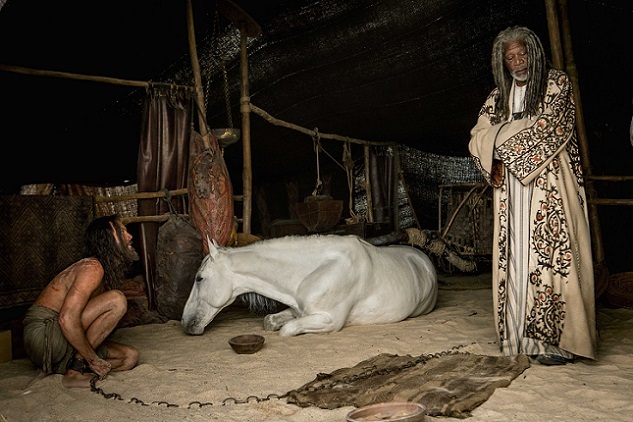 Separated from his family and the woman he loves, Judah is forced into slavery. 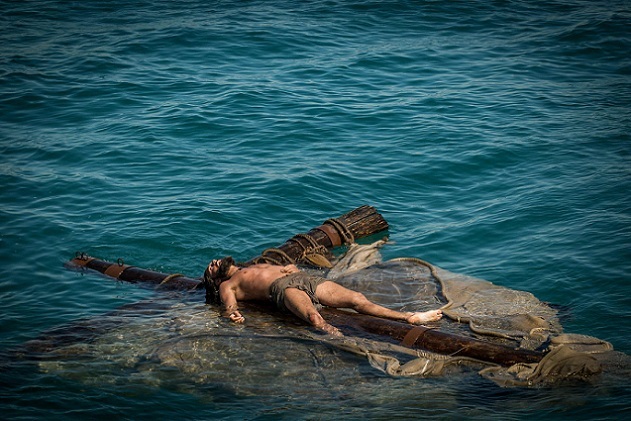 After years at sea, Judah returns to his homeland to seek revenge, but finds redemption. The emotional themes of the film is about vengeance vs. forgiveness which claimed to be timeless, hence writer John Ridley had similar reservations while developing the script as most ardent fans of the 1959 film might find it blasphemous to revisit it in any form, but they forget these characters existed 80 years prior. People may only tend to remember Charlton heston and the chariot race. 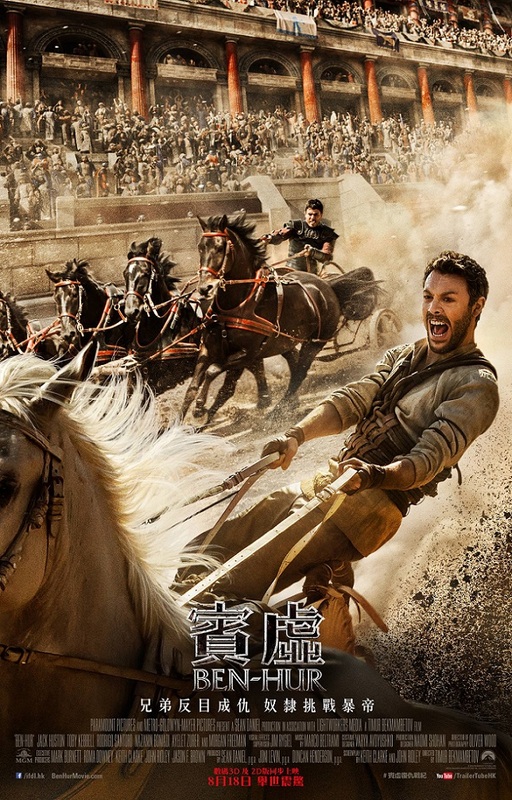 The compelling characters like Ben-Hur and Messala are the reason to make the personal conflict between these former friends just as tense and memorable as the climatic chariot race. Yet it was being glossed over too quickly without much hatred and compassion. Action is still the main attraction to draw audience to boost the box office. 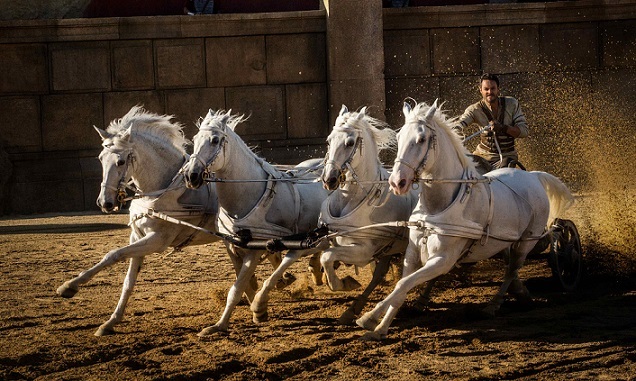 Beside the classic Chariot race in the coliseum is no doubt one of the highlights of the entire film even in comparing with the 1959 's William Wyler's <Ben-Hur: A Tale of The Christ> that won him numerous Oscars without much CG support that was phenomenon and greatly affected the culture of the 20th century. Another compact sea-attack scene is also not to be missed for its intensity and excitement. Modern innovations, like Go-Pro cameras, allow Bekmambetov and Director of Photography Oliver Wood to shoot from every possible angle, even placing cameras in the sand to get shots of the chariots thundering above. 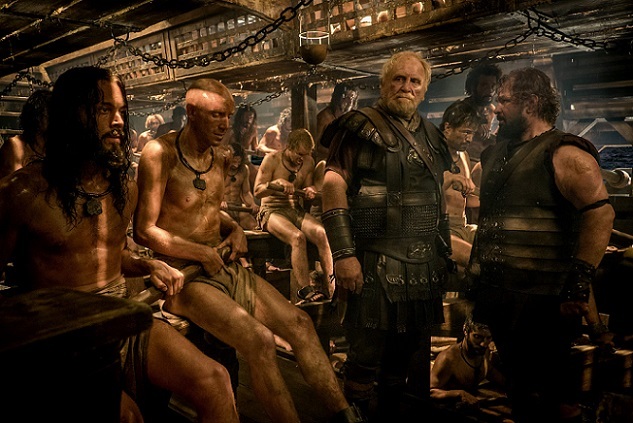 One of the most innovative tools used was a G4 camera like iPhone that makes every scenes feel as if you were really there, in the moment by bringing the first century story into the twenty first. Bekmambetov didn't want the film to be another theatrical bombastic as it was an epic not because of hundreds of horses, enormous of extras and thousand feet sets of the Arena but to give an alternative option by playing with its style, editing, acting (not sure about that) and cinematography to give an appeal to the modern audience. In that regards, Bekmambetov succeeded.